A lot is on the line this Saturday when SK Telecom T1 face off against Griffin in the LCK final. 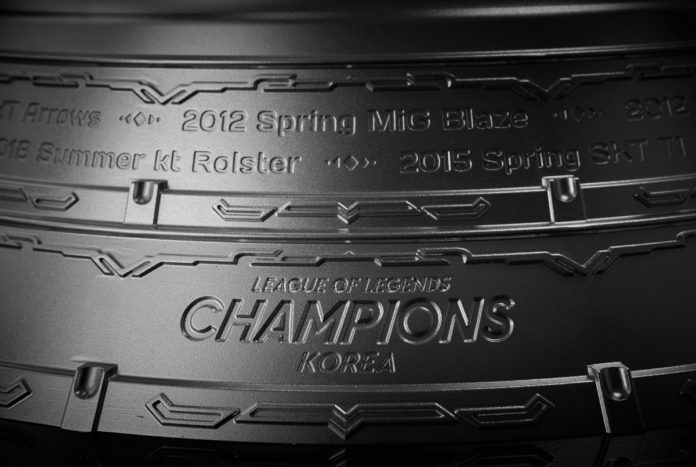 But one thing they may not have expected was that they would have the chance to compete for a brand-new LCK trophy. Riot Games, which took over production of the LCK this year, just unveiled a magnificent, show-stopping piece of championship hardware. 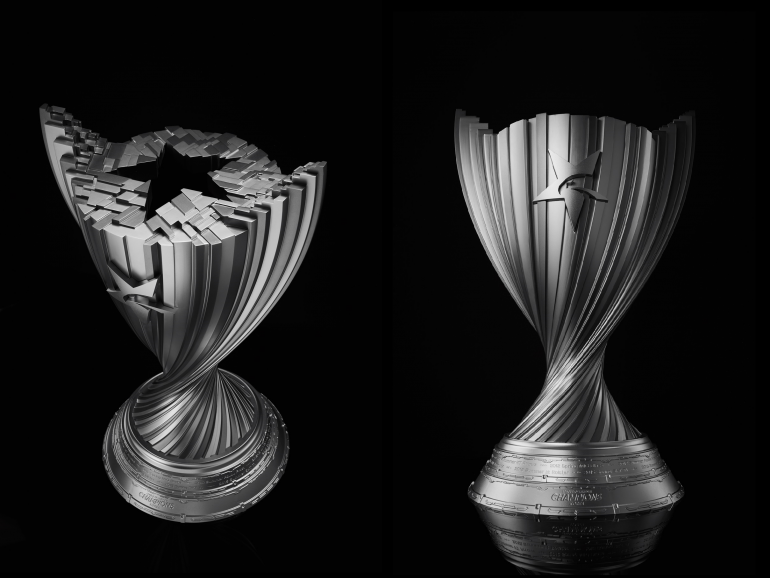 Composed of 140 strands of metal swirling into the shape of a cup, the new trophy combines modern design with the traditional aesthetic of the region to create something truly memorable. The trophy’s theme is “‘Rise and Victory,'” taking inspiration from how the players grow and claim victory through effort,” said Riot’s Korea division in a press release. Riot worked on the design with SWNA, a Korean industrial design firm that also designed the medals for the 2018 Pyeongchang Olympic Games. Each of the metal strands represents one of the game’s champions. The LCK’s eagle-star logo is featured on the side. The LCK log is further emphasized by the star formed at the top of the trophy as well as the design of the handles, which are shaped like eagle’s wings. The names of past champions are engraved at the trophy’s base. The new trophy replaces the LCK’s more standard look from past years which featured a traditional-shaped cup adorned by giant, sweeping handles. It’s a new, more modern take on trophies that represents how the league has moved forward in 2019 with a new arena, new production from Riot, and even new teams competed for top spots. The trophy will be presented to the winner of the final match April 13 at 3am CT. A permanent copy of each season’s winning trophy will also be displayed at the LoL Park in Seoul, Korea.